KARACHI, Pakistan (AP) — The suicide bomber that targeted the Chinese consulate in Karachi used a foreign-made C-4 plastic explosive, said Pakistani police, who suggested Saturday that the attack was orchestrated in India. Counter-terrorism officer Umar Khitab said that authorities are investigating whether Baluch separatist commander Aslam Achhu, who they believe masterminded the attack, is in India. The Baluch Liberation Army claimed the attack, and Khitab said the group is backed by “the enemy country,” a reference to India. There was no immediate comment from India’s External Affairs Ministry. 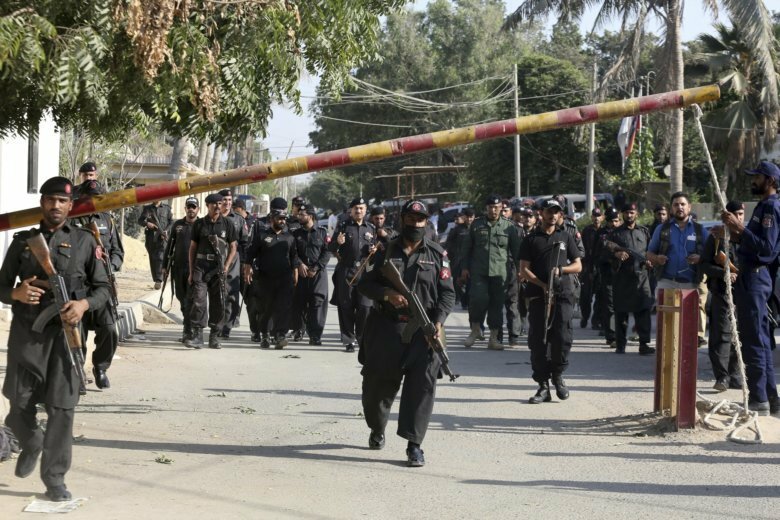 Two other Pakistani officials said four suspects, who allegedly facilitated three attackers, were arrested in Karachi and other Sindh province towns. They spoke on condition of anonymity because they were not authorized to brief media. Friday’s attack on the Chinese consulate in Karachi triggered an intense shootout that left all three assailants, two police officers and two civilians dead. Associated Press writer Ashok Sharma in New Delhi, India, contributed to this report.